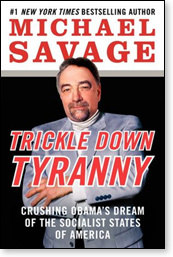 It is with a mixture of caution and fascination that one reviews a book by Michael Savage. Some toxic controversies in which he has been embroiled transcend his worldview (about which some have questioned). Consider, however, that the British government outrageously has denied him entry into its kingdom and that some 10 million Americans are drawn to his radio talkshow. Like him or not, he is not to be ignored. In Trickle Down Tyranny: Crushing Obama's Dream of the Socialist States of America, the author makes the case that — unlike Obama's 43 predecessors (good and bad) who merely made mistakes — this president is suspect of deliberately attempting to bring down the United States. 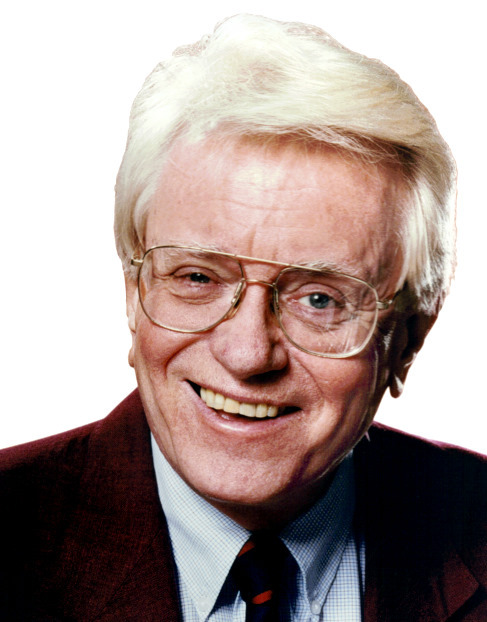 "The next president must love America" is Savage's premise. He believes — literally and beyond campaign rhetoric — that our country cannot survive another four years of Obama. Though this tome fulfills the take-no-prisoners expectations of "Savage Nation" fans, the author's point is about far more than verbal rock-throwing. Trickle-Down Tyranny is crammed with fact after fact and, more to the point, many instances of "connecting the dots," some with frightening scenarios. Mr. Savage cites multiple small steps that, when taken together, lend some credence to his comparison of the current administration to Hitler's step-by-step takeover of Nazi Germany. "The parallels," he writes, "are so disturbing." Though the talkshow host expresses a personal dislike for media mogul Rupert Murdoch (the feeling is mutual), he defends the latter against his rival, left-wing financier George Soros (though he fears Soros is winning). Murdoch's (now-shuttered) News of the World in London had indeed "violated the privacy rights" of convicted pedophiles. Largely ignored by the media's anti-Murdoch echo chamber, notes Savage, is that "dozens and dozens of the pedophiles were out of prison and living in neighborhoods with young families with small children." Savage reports that "most Britons" do not believe government's responsibility to protect the privacy rights of pedophiles should supersede the safety of kids. The "child-molesting felons" were forced to move away as a result of the investigative reports. And the ultimate motive was? Moreover, Mr. Savage cites Murdoch rivals in Britain who were guilty of far more egregious privacy violations. 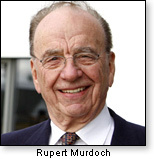 Singling out Murdoch, the author contends, was part of an attempt to neuter the Murdoch-owned Fox News on this side of the pond in time to save Obama in the upcoming election. Hanging over Murdoch's head are threats (implied or explicit) of legal action by Attorney General Eric Holder (named by Savage as one of the most corrupt officials in the Obama administration). Without explicitly using the term, the author leaves the reader to speculate that Murdoch is being blackmailed to "toe the line," even though no American was involved with wrongdoing in Britain's eavesdropping scandal. Nor were any of Murdoch's U.S. outlets. Throughout the book, there are numerous citations of separately publicized facts that, when considered together, add up to a story potentially even more explosive than any one of the component facts standing alone. Such is the case in the plot to assassinate the Saudi ambassador on U.S. soil. Attorney General Holder himself announced that the Iranian secret service was said to be trying to hire the Zeta Mexican drug cartel to perform the assassination. "Apparently, they [the cartelists] would be using weapons that Holder's Bureau of Alcohol, Tobacco, Firearms and Explosives (ATF) sold them as part of the 'Fast and Furious guns to Mexico' operation in order to assassinate the Saudi ambassador," concludes the author of Trickle Down Tyranny. The chapter "Tyranny of Obama's Radical Accomplices" deals with the (self-described) "radical" Marxist-minded community organizer Saul Alinsky, whose Project Vote gave the then-future president "the best education I ever had" (his own words). It has been widely reported that Mr. Obama's own community organizing ventures were influenced by Alinsky's "Rules for Radicals," an agenda (described many times in this space) encouraging a series of mean tactics to best the opposition. In his latest writing, Savage fires back with a "Rules to Beat Radicals," which is equally merciless. The book is a de facto detailed indictment of the creeping takeover of America. Some examples: Putting a foreign company (from Spain) in charge of processing election returns from over 500 U.S. jurisdictions, with no way for local officials to verify the integrity of the count; bullying the privately self-sustaining Ford Motor Company to pull a TV commercial deriding rivals who had accepted Obama stimulus money; intimidating reporters who pry too insistently into multiple White House scandals; "radical Islamists" paying attention to the Obama-influenced Alinsky playbook. All of this (harsh but necessary) wake-up call having been acknowledged, we get down to the question: Should we separate the message from the messenger? Moreover, Savage has said he "fits no [political] stereotype." He offered Newt Gingrich a million dollars to quit the GOP presidential race, arguing that only Mitt Romney could defeat Obama. Some critics believe Savage's over-the-top acerbic commentary is a put-on and that he is a "poseur." But this is a book review. A critique of the "Savage Nation" radio program (rarely heard by this reviewer) is best left to others. 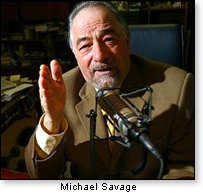 I make no claim to resolving questions about what makes Michael Savage tick. The verdict on Trickle Down Tyranny, the book is that — notwithstanding the signature hyperbole — it makes a cogent and complete case for the urgency of limiting Barack Obama to one term in the White House lest 2012 turns out to be our last chance to decide who occupies that highest office in the land. And that comment is not hyperbole. It qualifies as a "clear and present danger."